What do you get when you combine a college professor, biblical scholar, textbook author and expert storyteller? Apparently you get Dr. William H. Marty, author of The Jesus Story-Everything That Happens in the New Testament In Plain English. Dr. Marty takes us through a chronological adventure which covers the days of Jesus’ childhood, ministry, crucifixion and resurrection-and beyond. As the title itself suggests, it covers all of the New Testament. The beauty of the teacher’s telling is his own excellent grasp of Original Judaic teaching and culture at this time in history. The seven chapters of this highly readable book cover the birth, childhood and years of Jesus’ life as told through the Gospels and create a wonderfully active picture of the events surrounding the manifestation on earth of the One True Living God in Jesus Christ. The Acts of the early church through Revelation are covered in the final chapters. Main characters and geographical settings are listed at the start of each chapter and the table of contents reference the scripture covered alongside the appropriate chapter. chronological journey that takes the reader up close and personal. It feels like a live news report, with the Gospel Writers and early disciples standing alongside us, walking, talking, witnessing and sharing the exciting story as it unfolds. The story of Jesus is the most remarkable ever told. It’s an exciting adventure, a tender love story, and a drama full of danger, betrayal, and the ultimate sacrifice. 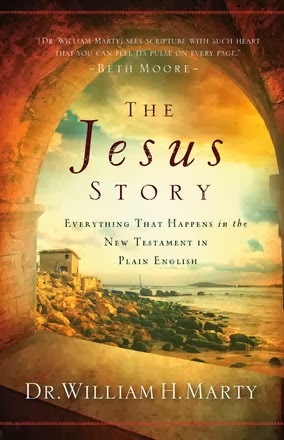 But sometimes the genealogies, the confusing repetition, and the varying order of events in the Gospels can distract readers from this powerful narrative. Or maybe you’ve heard the story so many times that it has lost its impact…read more. 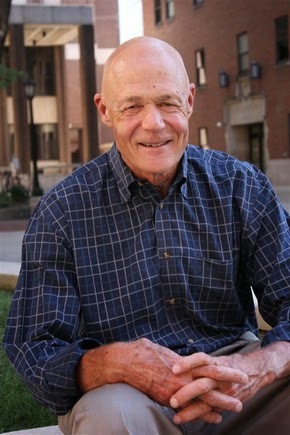 Dr. William H. Marty (ThD, Dallas Theological Seminary) is Professor of Bible at Moody Bible Institute and has published two textbooks,Surveying the New Testament and Survey of the Old Testament. He is unique among Bible college professors in that he teaches and writes on both the New and Old Testaments. Dr. Marty lives with his wife in Chicago. I received this book from Bethany House in return for a review. All opinions expressed are my own.